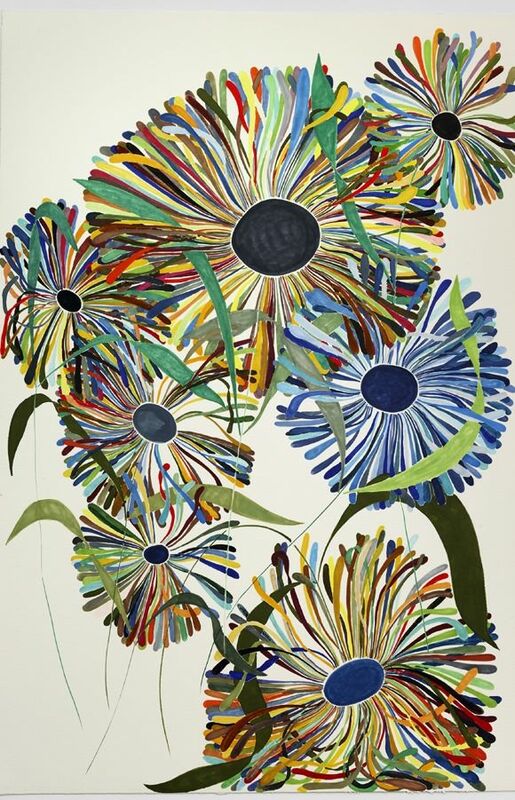 This year is the 75th edition of the Whitney Biennials. 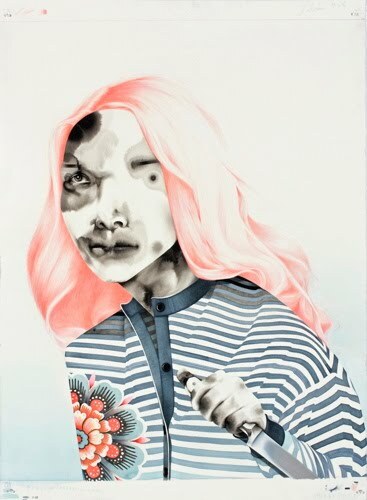 This year the show is simply titled 2010 – as opposed to traditional thematics based on cultural issues or politics, this year’s theme is centered around contemporary art production. An undercurrent seemingly – images procured from the internet or youtube, bizzare incongruent performative video, and surprisingly modest and thoughtly beautiful pen and ink drawings. Storm Tharp builds his strange and beautiful characters by first drawing contours on the page with water. Before the water has a chance to dry, he applies drops of mineral ink, resulting in unruly and expansive bleeds on the paper. This process is repeated in various instances to build forms and light sources. 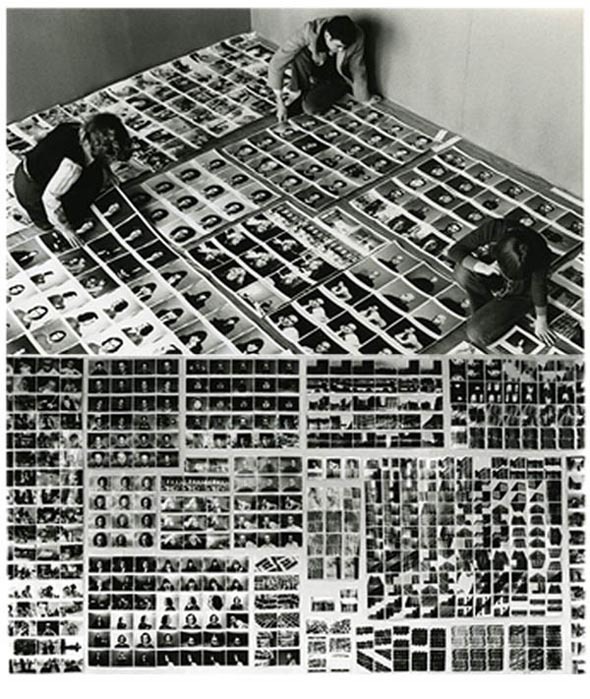 Once the adequate amount of ink has been dropped and dried, the artist manipulates the form in a variety of ways, such as drawing and erasing. Pae White encourages viewers to take a deeper look at familiar encounters and ordinary objects. 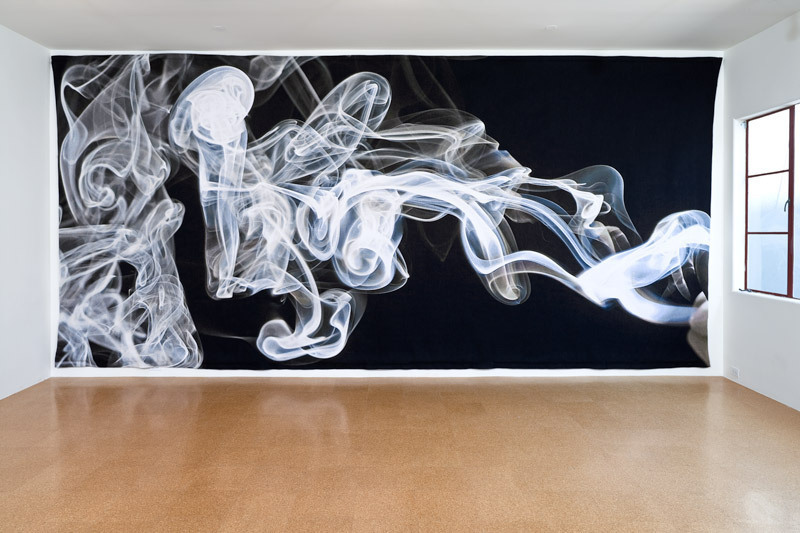 In 2006, White began creating tapestries with photographic images of crumpled aluminum foil and plumes of smoke. James Casebere’s photographs Casebere’s process involves constructing tabletop models out of modest materi¬als, such as Styrofoam, plaster, and cardboard. He then dramatically lights these constructions and care¬fully positions his camera to manipulate the com¬position and the mood of the resulting photograph. The Bruce High Quality Foundation, a group of anonymous artists, uses performances and pranks to critique the art world. For the work on view in 2010, the Foundation repurposed an iconic vehicle as a “portable museum,” a site for both reviving and putting to rest American cultural myths. Designed to be both an ambulance and a hearse, the Cadillac Miller-Meteor has been used to care for the dying, transport the dead, and as a prop in the movie Ghostbusters. The title of this work refers to Joseph Beuys’s 1972 performance I Like America and America Likes Me. 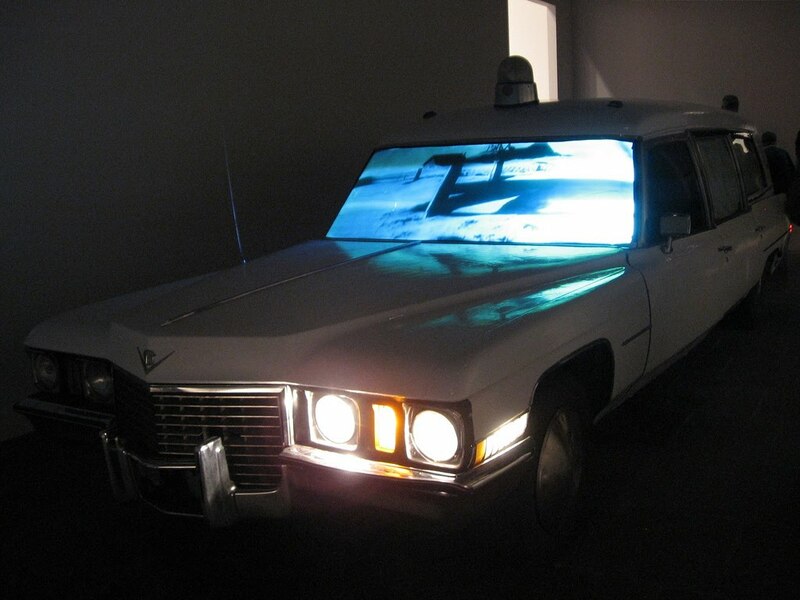 Upon arriving in New York from his native Germany for his performance, the artist was bundled into a Cadillac ambulance and shuttled to an art gallery, where he kept company with a coyote for three days before returning directly to the airport. 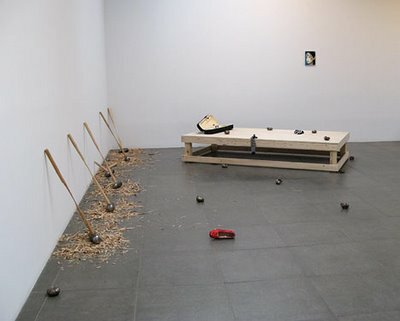 Beuys’s personal, ritualized confrontation with the United States is revisited here as a collective experience. A video projected on the windshield surveys a contemporary culture defined by YouTube clips, Hollywood movies, and news media. 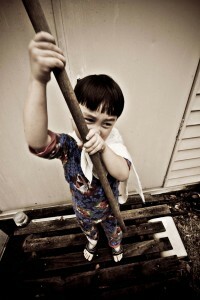 The voice-over describes an ambivalent, yearning relationship with the United States, as if the country were a dysfunctional family member or abusive lover. 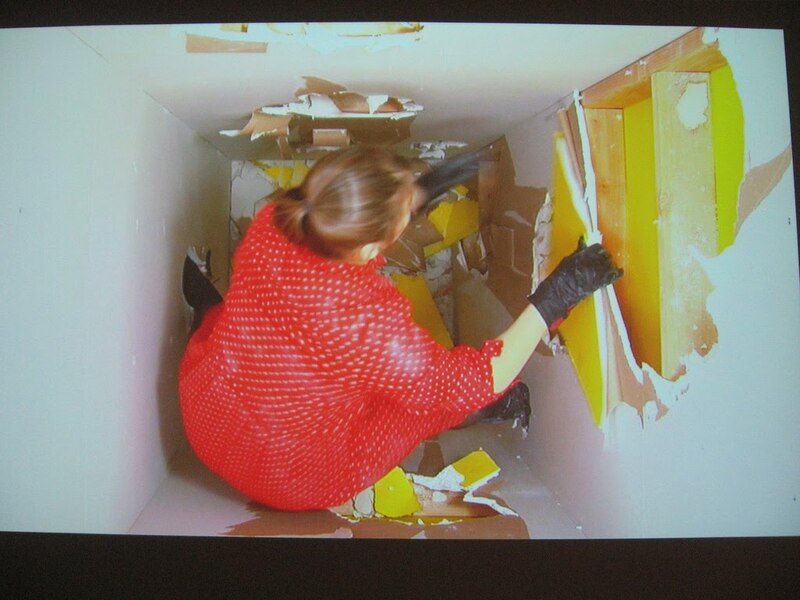 Kate Gilmore’s work explores themes of displacement, struggle, and female identity. She is the sole protagonist in her performative videos, in which she attempts to conquer self-constructed obstacles. Gilmore’s obstacle is a tall column made of sheetrock which she tries to climb by kicking and punching holes into its walls. Rashaad Newsome Rashaad Newsome has long been fascinated by the dance form known as vogue, which developed in New York’s gay ballroom scene in the 1960s and 1970s. He asked the dancers to perform this new dance for the camera; Untitled and Untitled (New Way) are the products of these collaborations.